Just about 12 miles off the coast of Rhode Island lies the most important migratory bird habitat on the East coast – the Block Island National Wildlife Refuge. Over 70 different types of migratory songbirds visit the island each fall. 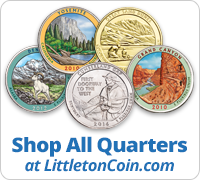 Plus, the endangered sand-colored Piping Plover makes its home there. In 1614, Dutch explorer Adrian Block sailed to the island, giving it his name. But its original inhabitants were the Narragansett Indians. By the 1970s, citizens had become worried about development on the island. When the Coast Guard transferred 28 acres in 1973, Block Island National Wildlife Refuge was born. The same year, the U.S. Fish & Wildlife Service acquired North Light and the land surrounding it, which added to the refuge’s size. 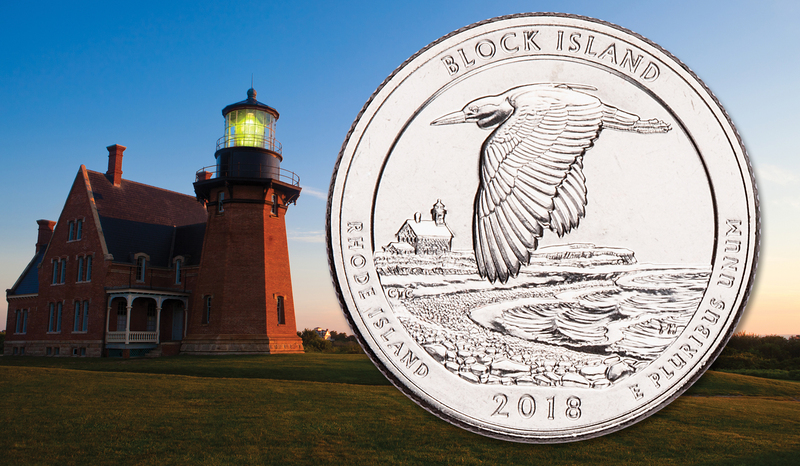 The historic lighthouse will be shown on the 2018 Block Island quarter. Block Island has 17 miles of public beaches, sparkling waters, and spectacular bluffs – making it a popular destination. More information on the Island can be found at BlockIslandInfo.com. This entry was posted on July 17, 2018 and filed under 2018, Block Island National Wildlife Refuge, Rhode Island, with these tags: 2018, Block Island National Wildlife Refuge, Rhode Island.